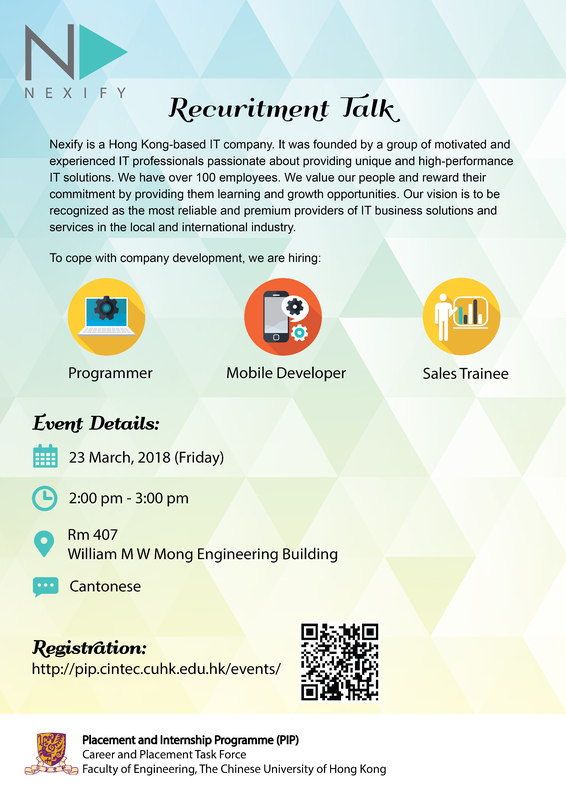 Nexify is a Hong Kong-based IT company. 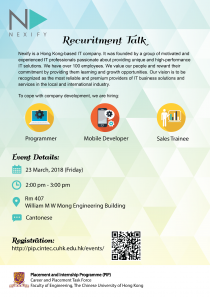 It was founded by a group of motivated and experienced IT professionals passionate about providing unique and high-performance IT solutions. We have over 100 employees. We value our people above all and reward their commitment by providing them learning and growth opportunities. Our vision is to be recognized as the most reliable and premium providers of IT business solutions and services in the local and international industry.